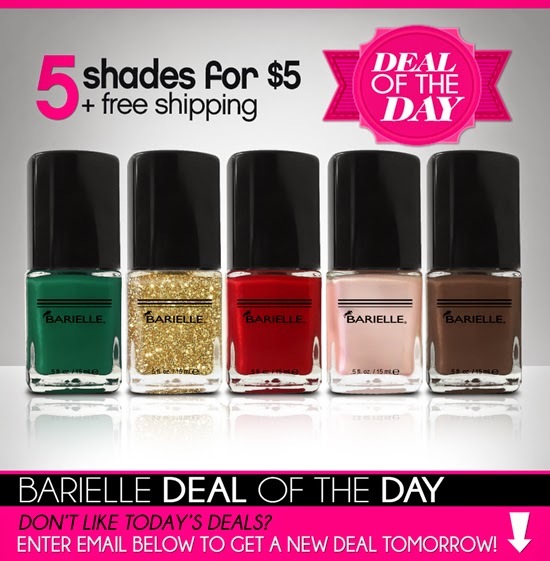 Never Enough Nails: Amazing Barielle Deal- 5 Polishes for Just $5!!!! Barielle is doing a different deal every day right now and today's is CRAZY! 5 polishes for just $5 and FREE shipping! If you don't happen to like the deal today (although it's pretty awesome! ), you can enter your email address on their website to receive an email with a new deal tomorrow. Go to Barielle.com now to take advantage of 5 polishes for $5! !